The new data in SEED reveal that the majority of SEC enforcement actions against subsidiaries of public companies focus on financial services firms. A new report issued jointly by the NYU Pollack Center for Law & Business and Cornerstone Research finds that U.S. Securities and Exchange Commission enforcements against public companies and their subsidiaries increased more than 50 percent in fiscal year 2015 and are on a pace to equal or exceed that high-water mark in FY 2016. The SEC brought 84 actions against public companies and their subsidiaries in FY 2015, compared to 55 actions in the previous fiscal year. In the first half of FY 2016, the SEC filed 43 new enforcement actions against public companies and their related subsidiaries. This research draws on the Securities Enforcement Empirical Database (SEED), which includes information on SEC enforcements against public companies, as well as recently added data on their subsidiaries. Launched last fall, SEED is a collaboration between the NYU Pollack Center and Cornerstone Research. The report, SEC Enforcement Activity against Public Companies and Their Subsidiaries—Midyear FY 2016 Update, is the first to analyze these new data. Between FY 2010 and the first half of FY 2016, the top 10 monetary settlements by public company and related subsidiary defendants ranged from $175 million to $550 million. Seven of these occurred in administrative proceedings, while three were in civil actions. In the first half of FY 2016, there was a near-even split in SEC enforcements among allegations related to Issuer Reporting and Disclosure, the Foreign Corrupt Practices Act, Investment Advisor/Investment Companies, and Municipal Securities/Public Pensions. In FY 2015 and so far in FY 2016, the SEC has greatly increased the number of actions it has brought with Municipal Securities/Public Pensions allegations, consistent with the SEC’s stated priority for FY 2015 and FY 2016 of a continued focus on municipal securities. The SEC continued to use its administrative proceeding forum in the vast majority of the actions analyzed. In the first half of FY 2016, the SEC brought 88 percent of actions against public company and related subsidiary defendants as administrative proceedings. In the first half of FY 2016, 98 percent of SEC enforcements against public companies and their subsidiaries settled concurrently, on the same day the action was filed, the highest percentage recorded in the database. The Securities Enforcement Empirical Database (SEED) tracks and records information for SEC enforcement actions filed against public company and related subsidiary defendants. Created by the NYU Pollack Center for Law & Business in cooperation with Cornerstone Research, SEED facilitates the analysis and reporting of SEC enforcement actions through regular updates of new filings and settlement information for ongoing enforcement actions. A portion of the Securities Enforcement Empirical Database (SEED) is available to the general public, and a more extensive version is available for academic scholars. 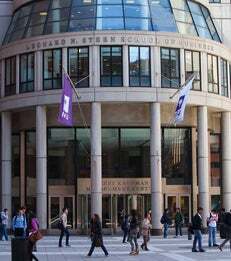 Established in 1997, the NYU Pollack Center for Law & Business is a joint venture of the NYU School of Law and the Stern School of Business. Its mission is to enrich the teaching curriculum at both schools in areas where law and business intersect; to facilitate professional interaction and academic research by faculty who share an interest in the structure, regulation, and function of the market economy; and to contribute to the public welfare by supporting scholarship that assists governmental and private policymakers in their pursuit of enhanced business productivity. Cornerstone Research provides economic and financial consulting and expert testimony in all phases of complex litigation and regulatory proceedings. The firm works with an extensive network of prominent faculty and industry practitioners to identify the best-qualified expert for each assignment. Cornerstone Research has earned a reputation for consistent high quality and effectiveness by delivering rigorous, state-of-the-art analysis for over 25 years. The firm has 600 staff and offices in Boston, Chicago, London, Los Angeles, New York, San Francisco, Silicon Valley, and Washington.